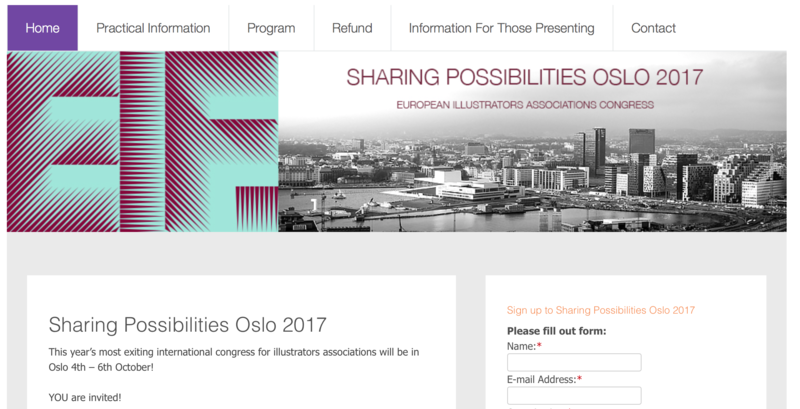 This year’s most exiting international congress for illustrators associations will be in Oslo 4th – 6th October! European Illustrators Forum are giving you an excellent chance to meet fellow associations and share your thoughts on Illustration in Europe. European Illustrators Forum are happy to cover travel expenses and hotel for one person from each European association. European Illustrators Forum will refund amounts up to €300 of your travel expenses. Included in travel expenses are your flight, as well as transport to and from the airport (both in Oslo and your departure city). The sooner you book your ticket, the cheaper the fair is likely to be, so if you can – be an early bird! And to make the offer even better, your hotel is already paid for. European Illustrators Forum encourage you to book your ticket as soon as possible, so that the overall cost of your travel becomes as low as possible. This is to give us a roomier budget and make sure the rest of the conference is as wonderful as possible!